Thank you for visiting the Ace-Tek UK Ltd website. Ace-Tek UK staff are CRB (Criminal Records Bureau)and Mapeley STEPS checked prior to employment. Ace-Tek UK achieve Carillion PLCs required standard. Ace-Tek UK achieved the required standard for accreditation to be included on Carillion PLCs regional list of approved suppliers. Ace-Tek UK staff all hold a CSCS Card. Ace-Tek UK holds a Certificate of Commitment registering all of its staff holds a CSCS(Construction Skills Certification Scheme)card. Ace-Tek UK subscribe to Natwest Mentor Services. Ace-Tek UK Ltd receive professional Health and Safety, and Employment advice by subscribing to Natwest Mentor Services. Ace-Tek UK Ltd sucessfully achieved the Constructionline Certification award. Ace-Tek UK Ltd sucessfully renewed the Constructionline Certification accreditation. Ace-Tek UK successfully achieved approved status with Sheffield City Council. 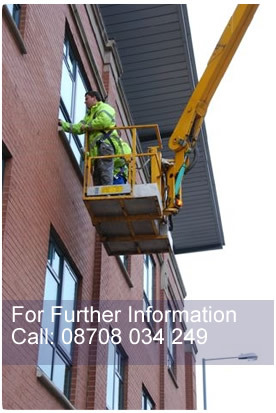 In March 2012, Ace-Tek UK was successful in being included on to Sheffield City Council's approved Contractors List. In June 2012 Ace-Tek UK completed the industrial cleaning of the flooring in Sheffield Winter Gardens on behalf of Sheffield City Council. Ace-Tek UK Ltds staff were successful in passing PASMA and IPAF Courses. Ace-Tek UK works on major insurance contracts in the north of England. Ace-Tek UK works on major insurance contracts such as Directline in the north of England. Ace-Tek Uk Ltd completed a large refurbishment programme in Doncaster Town Centre in August 2012. Ace-Tek Uk recently completed a large refurbishment programme in Doncaster Town Centre. Two large shop units were refurbished into six one bedroom residential flats and two small lock-up shop units. Ace-Tek Uk sucessfully achieved the Contractors Health and Safety (CHAS) Certification award. Ace-tek Uk Ltd sucessfully renewed the Contractors Health and Safety (CHAS) Certification Accreditation. Following a fire, flood or water escapement incident, Ace-Tek Uk's water damage restoration systems can reduce the claim cycle by many months. We provide a complete damage restoration service. Accreditation from SAFEcontractor recently received. Ace-Tek Uk recently received accreditation from SAFEcontractor, a programme which recognises very high standards of health and safety practise amongst UK contractors. Ace-Tek UK received with great pleasure a Carillion Values Award in recognition for their management of a flood incident. A Carillion Territory Manager provided the following citation for the incident: "Following an overnight flood which spanned over 5 floors of the building and rendered almost 1000sqm of office space unusable, Ace-Tek UK mobilized quickly. Once on site they worked tirelessly to recover a disastrous position. Many thanks for their dedication, commitment and team work as it is in my opinion the building would not have been reoccupied by HMRC on the Monday morning". The Carillion Values Award was presented to recognize Ace-Tek UK had "gone the extra mile" and demonstrated outstanding performance.